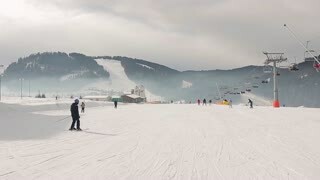 Skiers ride on the ski slopes. 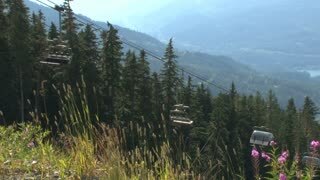 Ski lifts and snow-capped mountains. Accelerated ride skiers. Winter ski resort in the mountains. Sunny snowy day. AERIAL: Unrecognizable skier hiking up the snowy mountain in sunny winter. 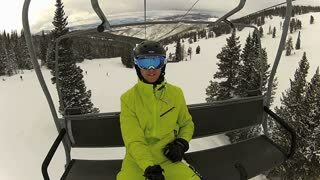 Skier talking on the phone sitting on a ski lift chair riding up to the top of the mountain.